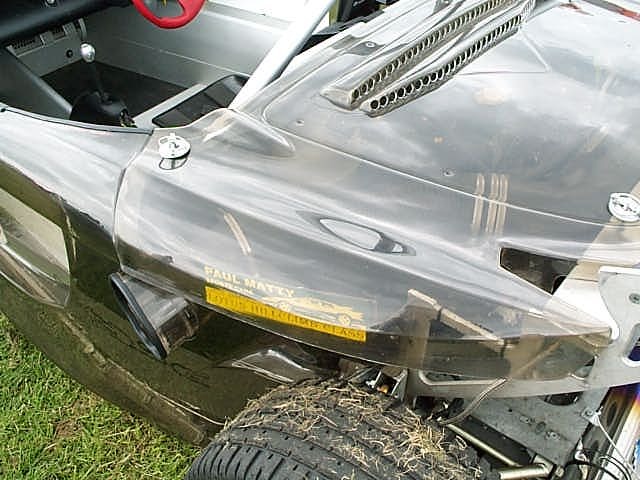 Seen at Harewood and snapped by Steve Green we reveal the world's first seethrough 340R ! 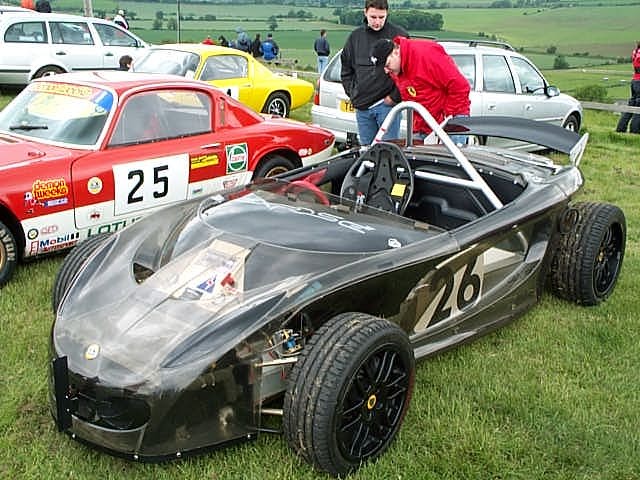 The car is owned by Lotus and used by Lotus Employee Tony Shute to compete in hill climbs entered in Class 12A - The Paul Matty Classic Lotus Class Sports Cars. The car features some novel technology some of which may eventually see application on other Lotus product. 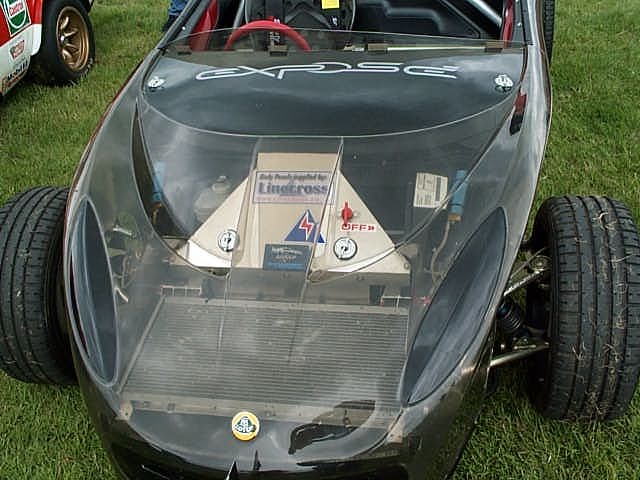 We understand that Lotus have taken out a patent on this method of construction (which was originally suggested by Tony Shute's son) potentially enabling some radical new effects on the next generation of Lotus Cars. 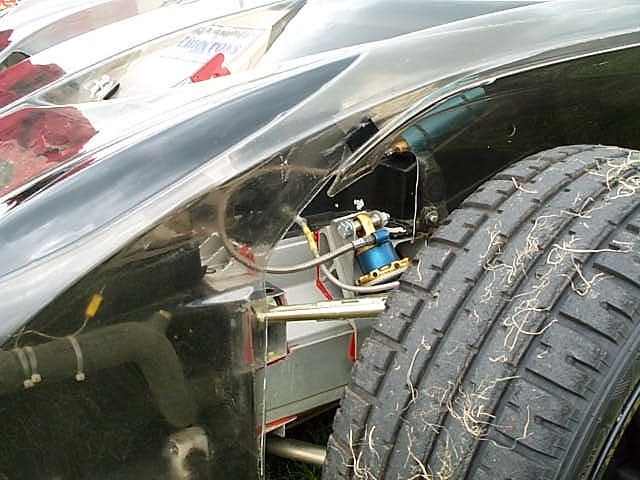 Dynamics Suspension (of Thetford) active adjustable suspension is fitted, adjustable for both compression and rebound, giving plenty of scope for different conditions. 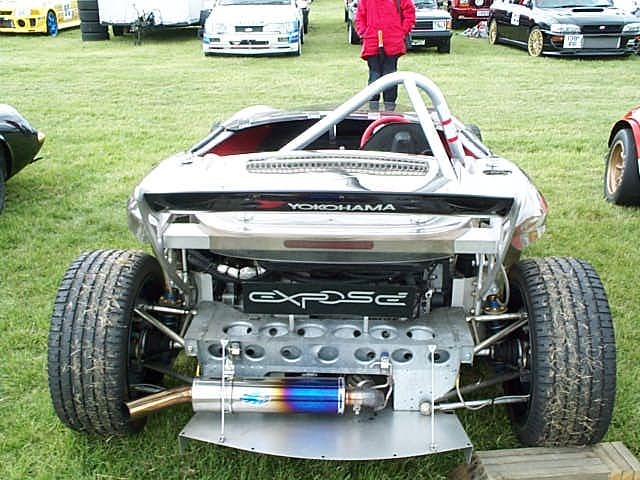 The exhaust is manufactured by Blue Flame in titanium alloy and it's compact size gives a sizeable weight reduction. Lack of mudguards allows 16 inch Exige wheels to be fitted. 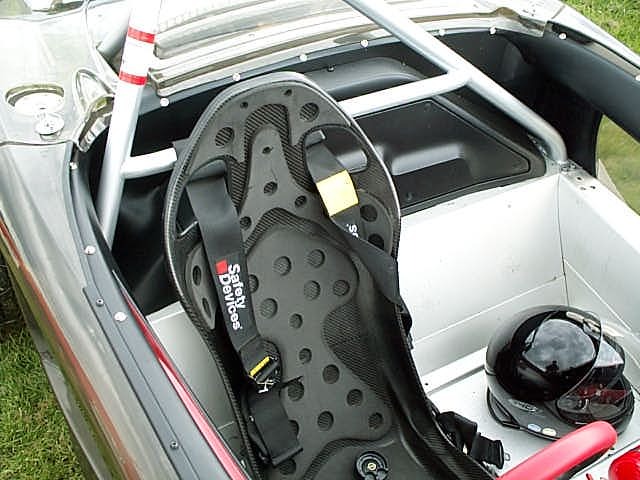 These are used with Motorsport slicks or wet weather tyres. Llandow - 1st of 25 competitors. 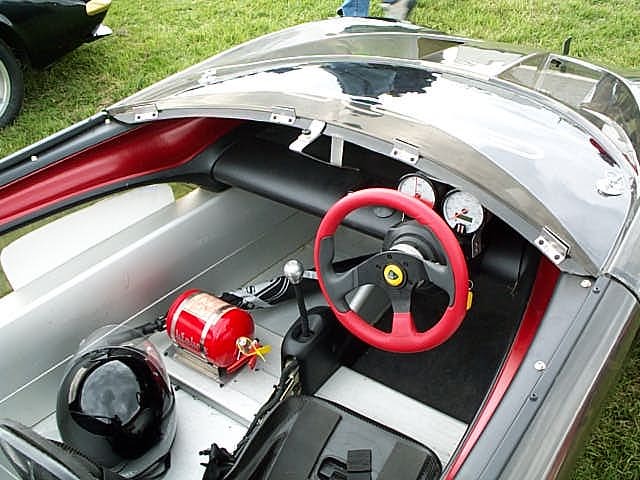 We wish Tony well in his endeavors and hope that this represents another potential technical advantage for Lotus Cars. The ultra compact Blue Flame titanium alloy exhaust. This is where the pilot sits (umbrella optional).